Shark jaw is used to holding wire rope or chain tightly, and as a brake to withstand load. When weighing anchor dropping anchor/ towing, the shark jaw rise, other times, the shark jaw pack up and remain flush with the deck, maintaining deck smoothly. ship's porthole is a kind of marine windows that install on ship and boat, and it is very interesting that this kind of windows on the market are totally in round shape, just because in round shape, it can gets more light into the ship cabin, and more strong, steady and beautiful. 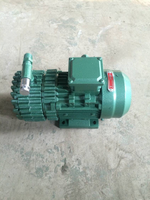 Instruction of CYBW Series Marine Self-lubricating Sliding-vane Air Pump CYBW series marine air pump is the oil-free lubricating sliding-vane air pump,Which has the features of small size,light weight,energy-saving,and clean exhausted air with no oil pollution,etc. It can meet the requirement for marine uses. WQ(QW) series submersible pump is a vertical sewage submersible pump, it is composed with pump body, mechanical seal and motor. The pump is made of cast iron. It is used mechanical seal between pump body and motor for well sealed .The series pumps are equipped with overload or overheat protection device. The flow-rate range of the delivery water is 7-10000m3/h, lift range is 7-60m, power range is 0.55-315Kw, caliber range is φ25-φ700 mm. 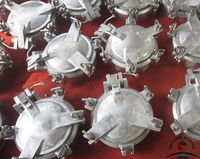 Widely use on boat, ship and other industria area.